Do you know what today is? It's the first day of #04 Inky Paws Challenge! Your project MUST use at least one Newton's Nook Designs stamped image (or free digital stamp - I just added a new one to our Freebies page). Post your project to your blog or to an online photo gallery such as Flickr or splitcoaststampers (on splitcoast please use keywords newtonsnook and IPC04). You have two weeks to play along. Deadline to enter is Friday, November 8th, 2013 at Midnight CST. The winner will be announced on the NND blog on Monday, November 11th. 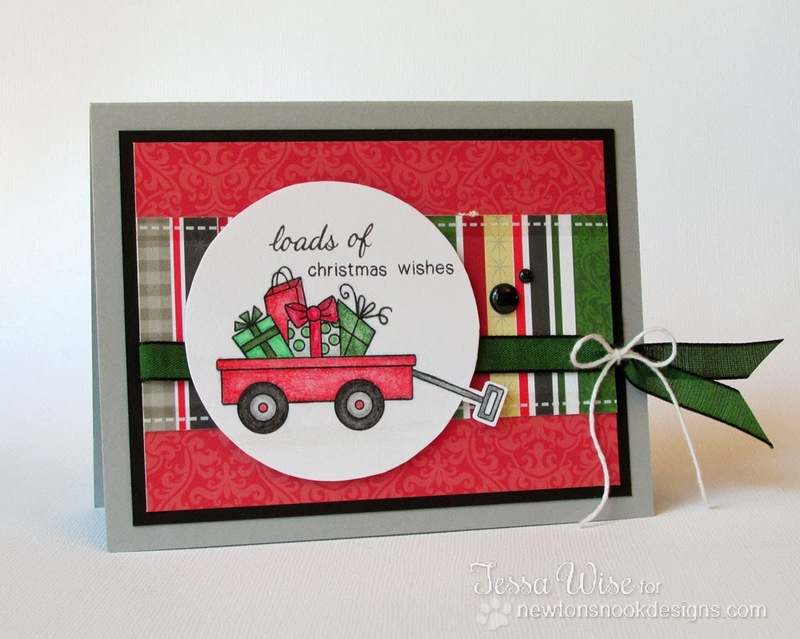 Tessa Wise used the Wagon of Wishes set to create this adorable Christmas Card! I love how the handle sticks out of the circle! Meowy Christmas! 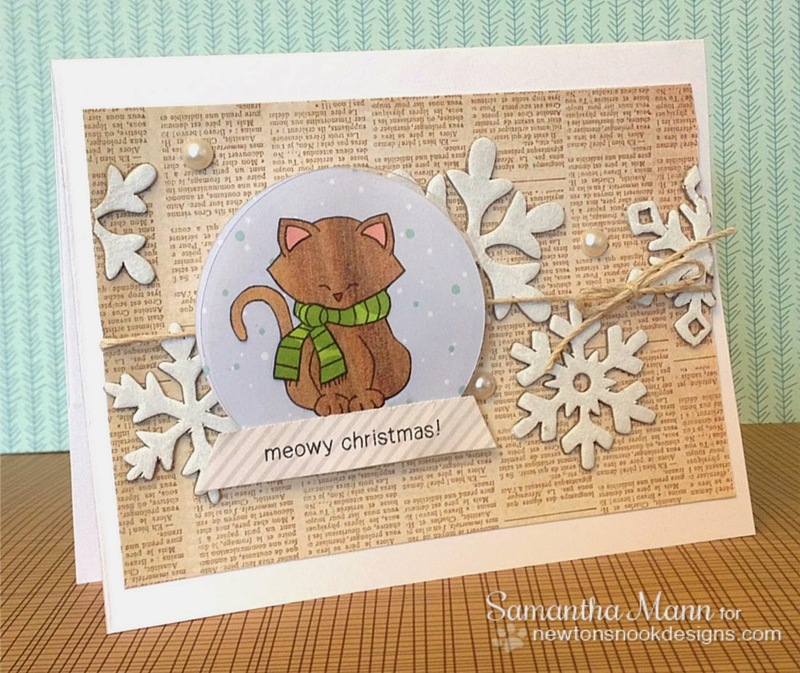 Samantha Mann took the cute kitty from the Newton's Holiday Mischief stamp set and made it look like he's in a snow globe! 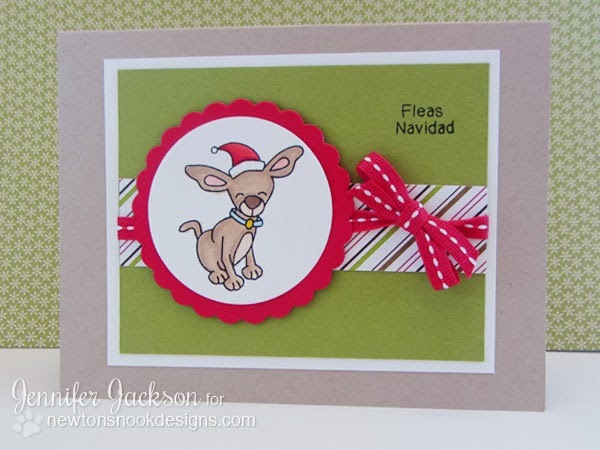 Here's one from me - I used the Chihuahua from the Canine Christmas set to make this simple Puppy Holiday card! 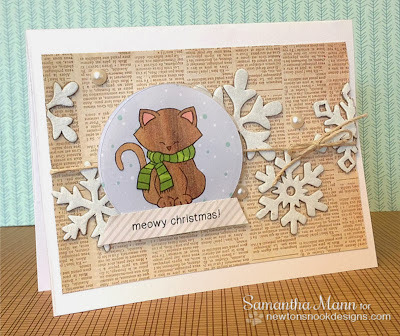 And one last card from me - do you spy a new stamp? I just added a this new digital stamp to our Freebies page! If you don't have a NND stamp set yet, go download this one to play along!